Paul Walker, of The Fast and the Furious fame will star as gaming's favourite bald-headed assassin. Despite the first Hitman movie being released less than six years ago, the powers that be have decided that it's time for a "reboot" rather than a sequel. The last we had heard about a new Hitman movie was way back in 2009, when the game that would eventually become last year's Hitman: Absolution was still scheduled for a 2010 release date. Fox has now announced that the movie is still under production, with The Fast and the Furious tough-guy Paul Walker being cast as the infamous barcoded baldy. Agent 47, the movie's working title, will be penned by Skip Woods and Michael Finch, the men who brought us Live Free or Die Hard (Die Hard 4), a movie that features a scene where the Mac Guy hacks a military fighter jet while it is in flight (but using a PC). Making his feature film directing debut for the movie will be Aleksander Bach, a highly regarded commercials director. Shooting for the movie should commence this summer, as soon as Walker is done with his press tour for Fast and Furious 6. Berlin and Singapore were confirmed as shooting locations. The Hitman franchise of video games are stealth action-adventure games, in which you, as the titular Hitman, must find the most efficient ways to assassinate your targets. 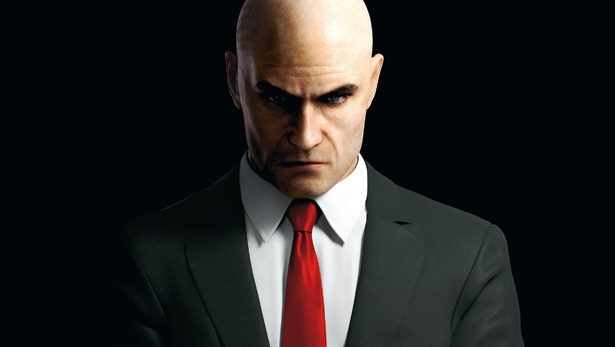 Debuting in 2000 with Hitman: Codename 47, IO Interactive have made five Hitman titles to date. The series has been praised for its "play it your way" approach, in which there are multiple ways for players to complete each level. The first Hitman movie, which was also written by Skip Woods, starred Timothy Olyphant. It was widely panned by both fans of the games and movie critics, but managed to gross $100 million worldwide. It looks like Fox wants to run off the success of Hitman: Absolution, and try to dissociate itself with the previous movie as much as possible.